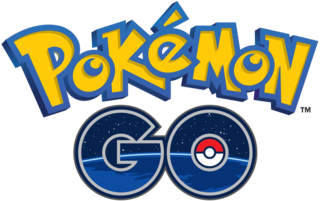 How To Use Pokemon Go To Get Viral Website Traffic: Unless you have been living in a cave the last couple of weeks (and maybe even then if Pokemon showed up there) you have likely heard about the mobile app craze that is Pokemon Go! Essentially the game entails finding Pokemon in the real world using an app that ties to Google maps. Some creative business owners have found ways to drive customers into their stores and restaurants by setting up Pokeshops in their establishments causing “Pokemon Trainers” (or whatever they are called) to come in to catch their Pokemon and perhaps grab a slice. Well as a smart marketer I decided I need to find a way to capitalize on the craze so I decided to come up with a method to use Pokemon Go! to help increase website click through, rate, improve engagement and explode viral traffic. To drive people to your post about Pokemon Go! and make them share it! Ok so that was a dirty trick but the real lesson here is that there are tons of different ways to capitalize on a trend to drive traffic and make sales if you just get a little creative. I’d love to hear some of your ideas on how you leveraged Pokemon go or other trends to drive traffic so … on Instagram, Snapchat, Facebook, Twitter, and Youtube or shoot me an email; you can also join our Facebook group as well if you want some great SEO and digital Marketing Content! Share This Page To Find Out The Pokemon Go Viral Traffic Method!